This fantastic Treehouse experience allows you to get to grips with nature and enjoy a range of forest activities! 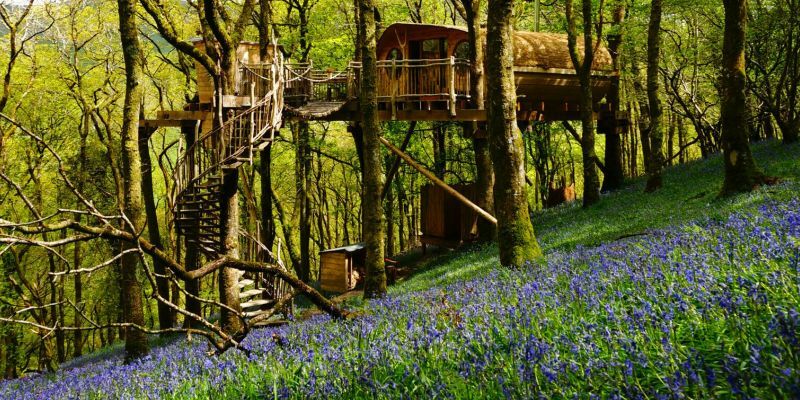 Experience a unique and natural break up in the trees of a stunning forest with this incredible two night stay inside a luxury and cosy tree-house. Choose from a great range of forestry activities in the days and become at one with nature as you absorb the beautiful surroundings and organic atmosphere the forest provides. The state of the art tree houses will ensure you are at the height of luxury despite being tucked away deep in to the woodland. Yourself and a loved one will enjoy the luxury of a hotel room combined with the fresh feel of camping, so lose yourself in the landscape and enter the forest for a fantastic get away for two. The treehouse would also include a kitchen, toilet and a shower too.Your Treehouse experience will begin any time after 3pm on the day of arrival. You will then be free to explore the forest and enjoy the luxurious Treehouse. You will be due to leave before 11.00am on your final day. As this experience is for two people you will have the option of a enjoying a luxurious double bed or two luxurious single beds. 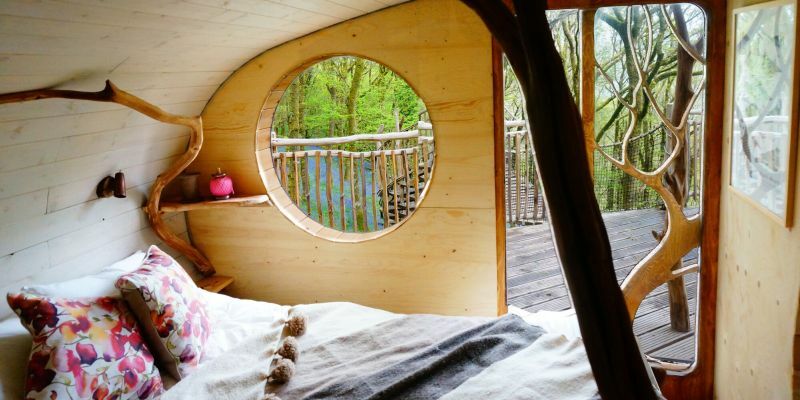 The Treehouses were fabulously designed by a top Swedish stylist so expect it to be fantastically cosy and retro. The Treehouse Experience for 2 is available year round, and you can book your break to start on Monday, Wednesday or Friday (Subject to availability). Arrival on a Sunday also includes a free nights stay. Arrival times are usually between 3-4 pm, with check out before 11:30am on the departure date. Please note this experience is fully booked until October 2018*. *Please check dates first as they book up way in advance and is very much subject to availability. There are no restrictions on who can stay at The Treehouse. The Treehouse experience is for two nights – with arrival between 3:00pm to 4.00pm on Day 1 and departure before 11.30am on Day 3. Participants: The Treehouse Experience for 2 is for 2 participants. Unfortunately there cannot be any spectators in The Treehouse (who would want to watch you having a great time in The Treehouse!?) but groups bigger than two can easily be accommodated, in separate tree houses. 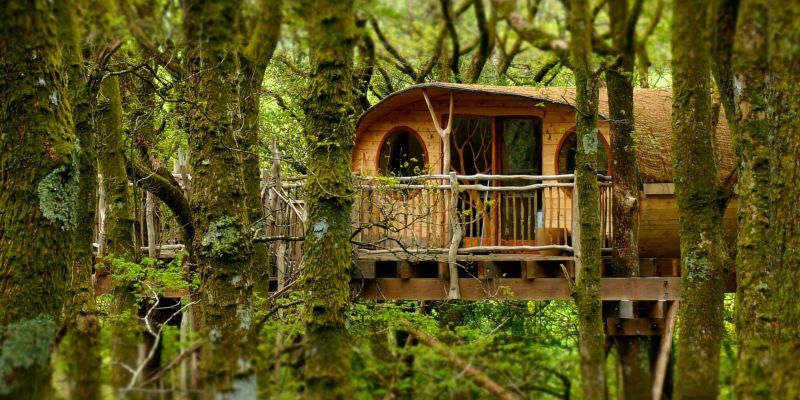 This is a self catering holiday, and you will probably love your Treehouse so much that you wont want to leave! So we recommend that you bring as much food and drink as you can. Great idea in general but have the owners actually stayed in one of the houses overnight? I know all the reviews are 5 star but. I am not giving 5 stars for several reasons. There are no opening windows so you have to have the door open to get air in which means if you have heated the water with the wood burning stove and it's summer and hot you will roast unbearable, because you cannot leave the door open because the squirrels come in and steal your food, and they bite and have fleas. The carts for your luggage do not travel across the wooden footbridges very well and a small ramp either end of the bridge nearest to the house would help with this enormously. Bed linen is provided but towels are not, why? If you have to pack towels in your luggage it just makes it heavier for going across the field, bridges and up the windy staircase. If they are doing bed linen laundry why can they not do towels? Some of the crockery was chipped, I expect it to be checked and cleaned before each occupant and in this case it wasn't. There is no where to leave a note about any maintenance or missing items that need attention and in the whole 3 nights there we didn't see anyone or know where to find anyone. The bed is hard and gives me a bad back and the cushions on the bed were clearly not laundered frequently. The covers/ throws on the sofas need laundering frequently not just smoothing out as other guests drop food on them. 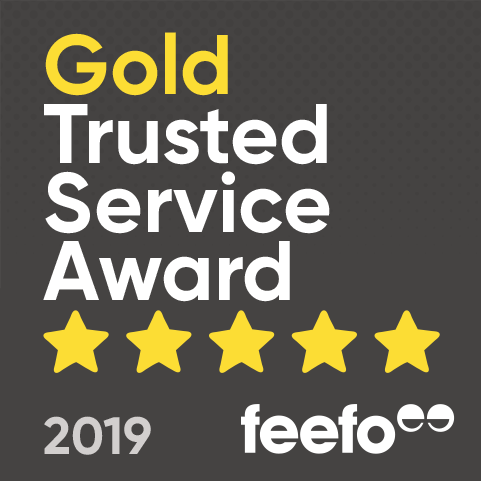 All in all an interesting experience but it could have been so much better with a little more care and a bit less penny pinching by the owners. Amazing relaxing weekend would highly recommend to anyone! What days can you check in at the Treehouse Experience for 2? You can check in on either a Monday, Wednesday or Friday (Subject to availability). If you arrive on a Wednesday then you would get an extra nights stay for free. Arrival times are usually between 3-4 pm, with check out before 11:30am on the departure date. 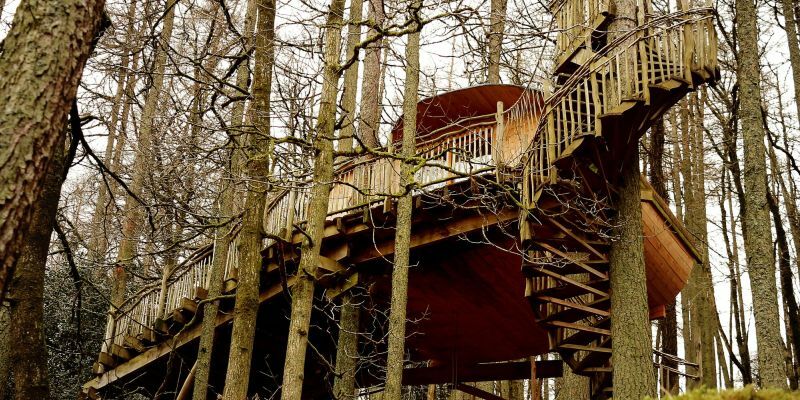 Is there any parking facilities at the Treehouse Experience for 2? With the Treehouse Experience for 2, your car can be driven to within 400 yards of the Treehouse site. Then a small walk (over flat land grass) is required. Can I bring my dog on the Treehouse Experience? As the Treehouse Experience is situated on an organic sheep farm, this unfortunately means no dogs are allowed. What kind of facilities are included with the Treehouse Experience? All the Treehouses are fully equipped with a shower, toilet and kitchen. However, you will need to bring your own towels.